New German Cinema icon Rainer Werner Fassbinder kicked off a new phase of his young career when he made the startling 'The Merchant of Four Seasons.' In this despairing yet mordantly funny film, Fassbinder charts the decline of a self-destructive former policeman and war veteran struggling to make ends meet for his family by working as a fruit vendor. 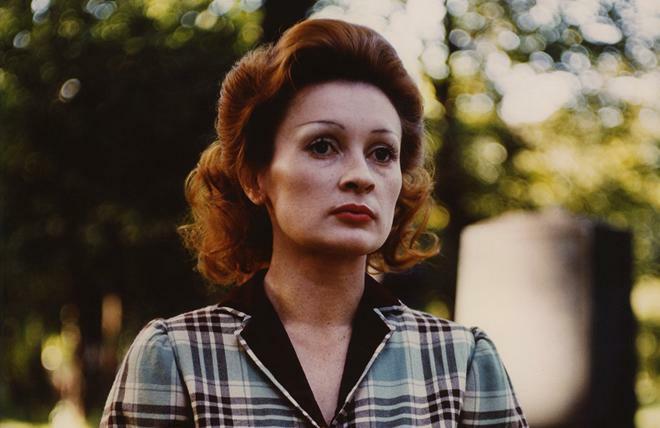 Fassbinder had skyrocketed to renown on the acclaim of a series of trenchant, quickly made early films, but for this one he took more time and forged a new style—featuring a more complexly woven script and narrative structure and more sophisticated use of the camera, and influenced by the work of his recently discovered idol, Douglas Sirk. The result is a meticulously made, unforgiving social satire. "You cannot have everything you want." Life doesn't always turn out the way we expect. We don't always end up with the people we want. We don't always end up with the jobs we envisioned. We don't always end up with the admiration or respect or love we think we might deserve. And in the face of these potentially damning setbacks, people usually have to choose one of two paths: resilience or defeat. In Rainer Werner Fassbinder's 'The Merchant of Four Seasons,' the director's protagonist chooses accordingly, resulting in a tragic yet darkly comical examination of gradual self-destruction and apathy that never once truly condemns or condones its characters. The story follows Hans (Hans Hirschmüller), an average man who works as a street merchant selling fruit. Faced with the harsh indifference of his family and society, the struggling peddler's emotional state slowly declines. 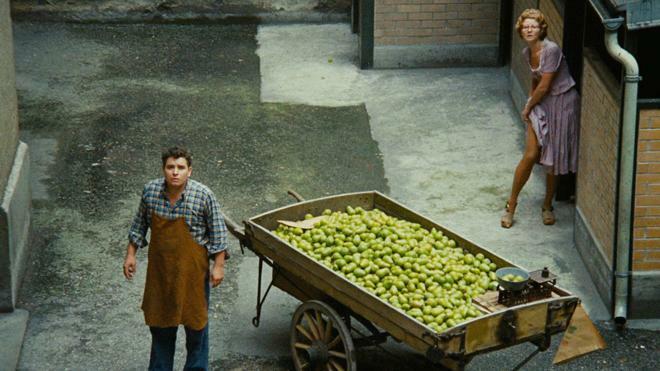 After a medical incident causes him to hire a replacement fruit-vendor, Hans' begins to retreat into depression, potentially dooming any chance he has at happiness. In the film's opening scene, Hans returns home from an extended absence on a dangerous enlistment with the French Foreign Legion. He is immediately greeted by his mother, but rather than embrace her son with open arms, she callously acknowledges his arrival and then decries his survival at the expense of other seemingly more worthy lives that were lost in combat. "The best are left behind while people like you come home," she says. 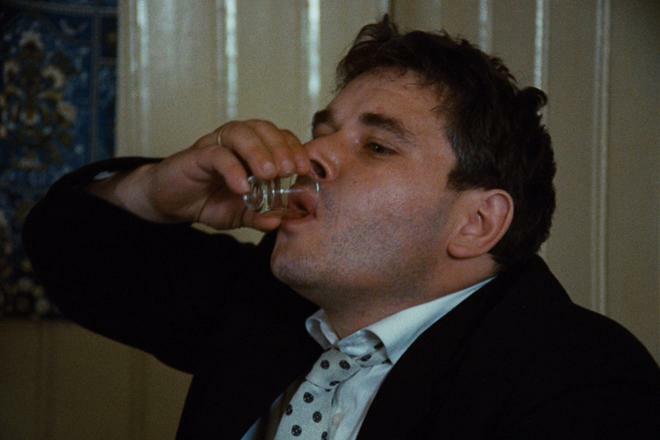 In less than a minute, Fassbinder perfectly establishes the film's central dilemma, casting a faintly absurd yet potently somber light on a hostile world unable to accept poor Hans. If his life were a comedy routine (and in some ways, it may very well be one), his repeated punchline would likely borrow from the late, great Rodney Dangerfield. "I don't get no respect. No respect at all." This downtrodden malaise goes on to inform the rest of the runtime, weaving an affecting character study layered with biting social commentary and heartbreaking pathos. As played by Hirschmüller, Hans mostly comes across as a likeable loser; an unlucky and unloved man who can't seem to rise above the uncaring setbacks the world (and he himself) throws his way. To this end, the movie carefully observes his escalating fall into depression and obsolescence while simultaneously examining concepts related to class and family dynamics -- and how both play a role in the character's ultimate, self-inflicted fate. Throughout it all (and despite a rather brief but unsavory detour into domestic abuse) Fassbinder uses carefully honed melodrama to maintain deep sympathy for Hans and the rest of the ensemble, allowing the audience to question their actions without ever casting judgement. The camera, however, is a little less objective in its view. Serving as an important stepping stone in the director's evolving style, Fassbinder employs a deliberate aesthetic that organically transitions from static to fluid, mixing intricate blocking and compositions with key movements. Actors are positioned in occasionally unnatural tableaus, enhancing their emotional distance. Stationary shots framed within doors or windows help to further constrain the characters on screen, and sporadic zooms and push-ins emphasize certain beats through dramatic close-ups. One sequence set a dinner table with Hans and his family toward the end of the film is particularly noteworthy for its use of tracking shots and measured cuts, slowly moving down the line of each side of the table as the conversation shifts in dynamic. This measured cinematic approach perfectly complements the somber narrative, drawing out certain moments with painful emotion and faintly exaggerated artifice. Through its mournful and darkly absurd melodrama, 'The Merchant of Four Seasons' presents a man who has simply lost the will to live. A deep need for acceptance and love leads Hans to lash out, but he can only take so much before even that passion fades. Drowned in a doomed air of petrified yearning, the film becomes a eulogy for longing -- a satirical examination of the pitfalls of apathy and their tragic effects on those unable to pull themselves out of their grasp. 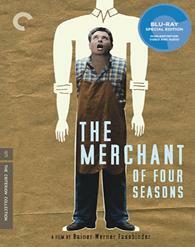 Criterion presents 'The Merchant of Four Seasons' in their standard clear case with spine number 758. The BD-50 Region A disc comes packaged with a pamphlet featuring an essay by film scholar Thomas Elsaesser. Mastered in 4K from the original camera negative, the movie is provided with a 1080p/AVC MPEG-4 transfer in the 1.37:1 aspect ratio. Beautifully detailed and authentic, this is a gorgeous transfer. Outside of the opening sequence (which is a bit faded), the print is in nearly pristine shape, with a natural layer of rich film grain preserved throughout. Clarity is sharp and nicely detailed with intricate fine textures in patterns and faces. Dimensionality is also impressive, giving the picture a pleasing sense of depth. Colors are nicely saturated without becoming too aggressive, resulting in a natural, slightly pastel palette with rich splashes of blues, browns, yellows, greens, and reds. Contrast is balanced well and black levels are inky and even. It should be noted, however, that a few sporadic shots (seemingly only in flashback scenes) do exhibit what appears to be a very faint checkerboard pattern/screen door effect overlayed on the image. Fellow reviewer, Luke Hickman, pointed out a similar sounding anomaly on the recent Criterion release of 'A Room with a View,' but I don't have that disc to compare the effect to. I'm not sure if this is an intentional filter or a print/transfer related issue, but it occurs so rarely that it is not much of a concern. Despite an infrequent visual anomaly, the image is richly detailed and beautifully restored, resulting in a gorgeous picture that highlights the director's impeccable style. The audio is presented in a German LPCM mono track. Minimalist but effective, the mix gets the job done with no major issues. Dialogue is clear and clean, though there does seem to be a slight disconnect between the speech and the image (it sounds as if the dialogue might have been added after the fact). The mono mix carries a minimal but effective sense of ambiance, with standard effects work (birds outdoors, footsteps) coming through cleanly without distortion. Music is also sparse, but the movie's use of "Buona Notte Bambino" works brilliantly. Thankfully, there are no age-related issues of anomalies. 'The Merchant of Four Seasons' is mostly unremarkable when it comes to audio, but the restrained mono track is technically proficient. Criterion has put together an informative collection of supplements, including a few interviews and a commentary. All of the special features are presented in 1080p (unless noted otherwise). English subtitles are also provided for the foreign language portions. Commentary with Wim Wenders – Recorded in 2002, this track features one of Fassbinder's German New Wave filmmaking peers, director Wim Wenders. Wenders offers a thoughtful discussion that covers details about Fassbinder's early prolific career, and the importance of 'The Merchant of Four Seasons' on the director's evolving style. Likewise, Wenders also shares stories about his friendship with Fassbinder, reads excerpts from writings about the director, and elaborates on the film's visuals, cast, and themes. And more than just an informative commentary, thanks to Wenders' trademark soothing voice, this track also doubles as the perfect sleep aid for insomniac cinephiles. Seriously, the man's soft-spoken tone is downright hypnotic. Irm Hermann (HD, 9 min) – This is a 2015 interview conducted with the actress. Hermann talks about how she got involved with acting and discusses what it was like to work with the director. Hand Hirschmuller (HD, 13 min) – Conducted in 2015, this is an interview with the leads actor. Hirschmuller elaborates on his character, the movie's dialogue, and his relationship with the director. Eric Rentschler (HD, 26 min) – This 2015 interview with the film historian discusses the movie's place within Fassbinder's filmography, and addresses the director's admiration for Douglas Sirk, use of melodrama, social themes, and visual compositions. Likewise, Rentschler also provides analysis for specific scenes, rounding out an informative discussion. Rainer Werner Fassinder's 'The Merchant of Four Seasons' is a darkly comical and potently tragic melodrama. An important stepping stone in the director's evolving style, the film blends a measured cinematic style with an affecting character study and biting social commentary. With the exception of a sporadic anomaly, the video transfer is exceptional. Likewise, the audio is solid. Criterion hasn't packed the release with supplements, but Wim Wenders' soothing commentary track is informative (and downright hypnotic) and the included interviews are all worthwhile. Recommended.